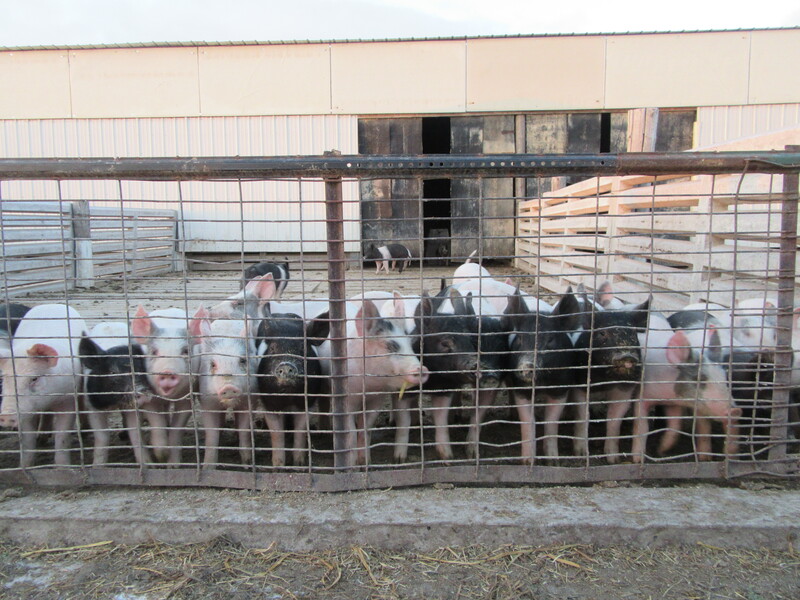 We just finished weaning the last of the summer/fall farrowing group. Over all everything went well and we are pleased with the numbers. There are 364 weanlings alive today! The chores will get a little bit easier as we consolidate new groups in the new South Slope building. That’s the warmest building on the farm right now. They need to get off to a good start and eat a lot to grow good, strong and healthy. 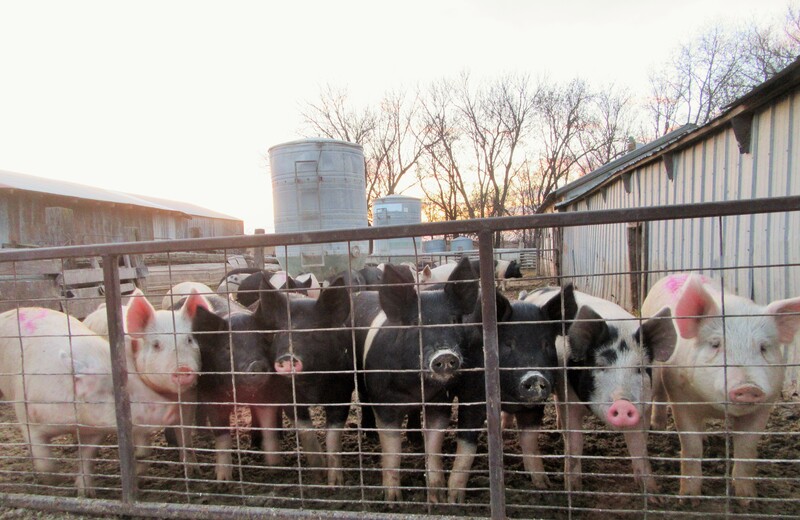 Young butcher hogs hanging out in the very cold air. Fred is kept busy grinding feed many nights after work. Lately it’s been so cold; I don’t know how he can stand it! 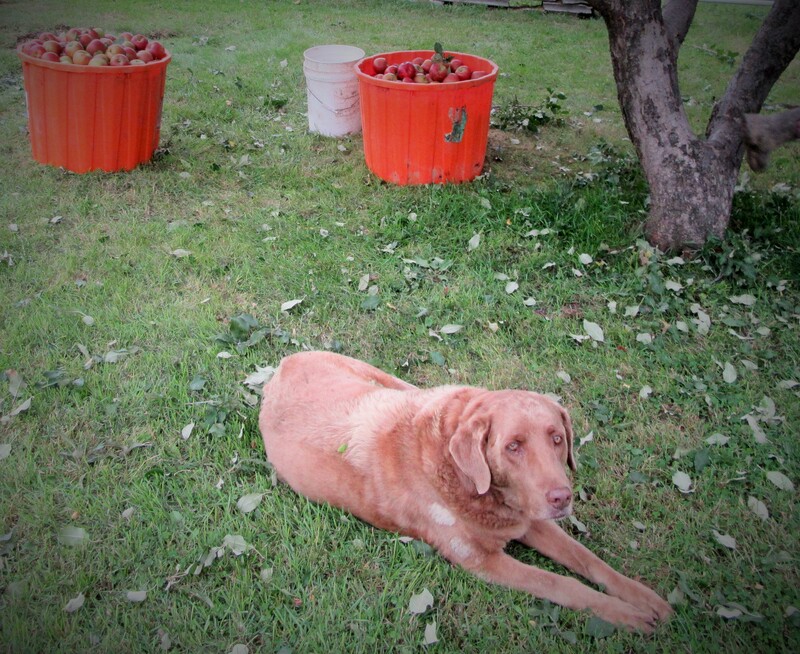 But….. he is doing what he loves and that’s farming! 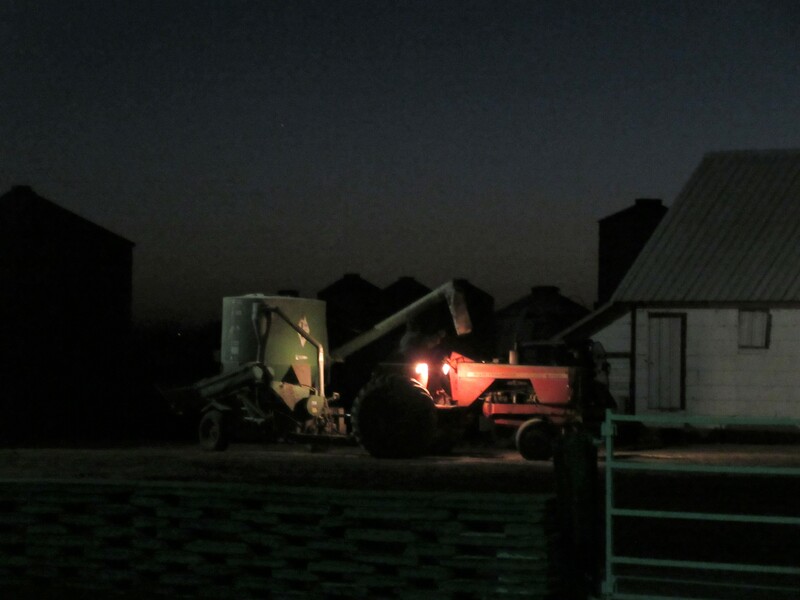 Fred grinding feed at night. The new Hereford and Hereford cross boars are being put to the test on our new gilts. Let’s just say they have a lot to learn! A very shy Hereford cross Berkshire boar. The weanling piglets have all been de-wormed with the garlic concoction. This was a very time consuming chore until we decided to mix it in much larger batches. It’s super important keeping parasites down at a very early age. Sheep eating their feed laced with a strong de-worming treatment. The other day we de-wormed our sheep flock with a similar garlic concoction as was given to the piglets. First we tried feeding a full dose in a single feeding of grain and they were turning up their noses to it! We then decided to half-dose it in the rams feed which worked much better. Methods are constantly changing on the farm. It’s a life time of learning by trial and error with a large dose of perseverance. We pray a lot!! Rest in peace Rowdy. We loved this loyal and faithful friend. Missing him so much…..He had a heart of pure GOLD. There’s so much more to farming than meets the eye. You don’t just “slop the hogs” and walk away. Observation is so important. If you are not spending time doing this you will miss so much. Animals can’t talk and tell us humans how they feel. Preventing disease through good nutrition is key. 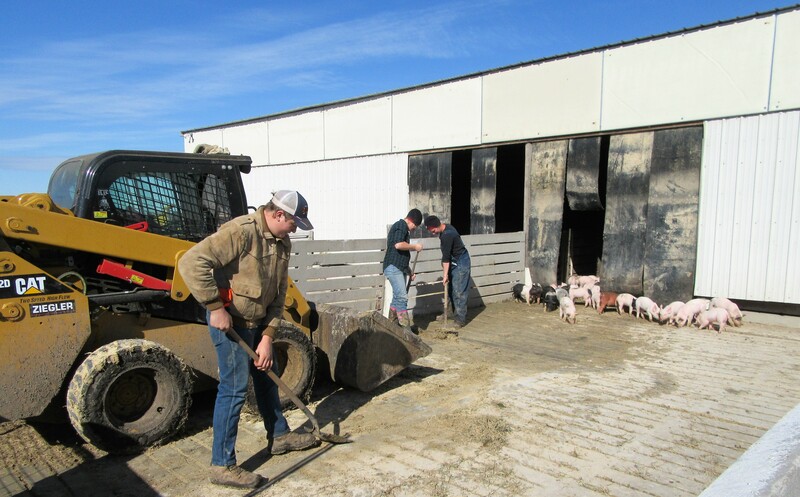 We’re only three years into Organic hog production and it’s a new learning experience pretty much every day. Life is good down on the farm! 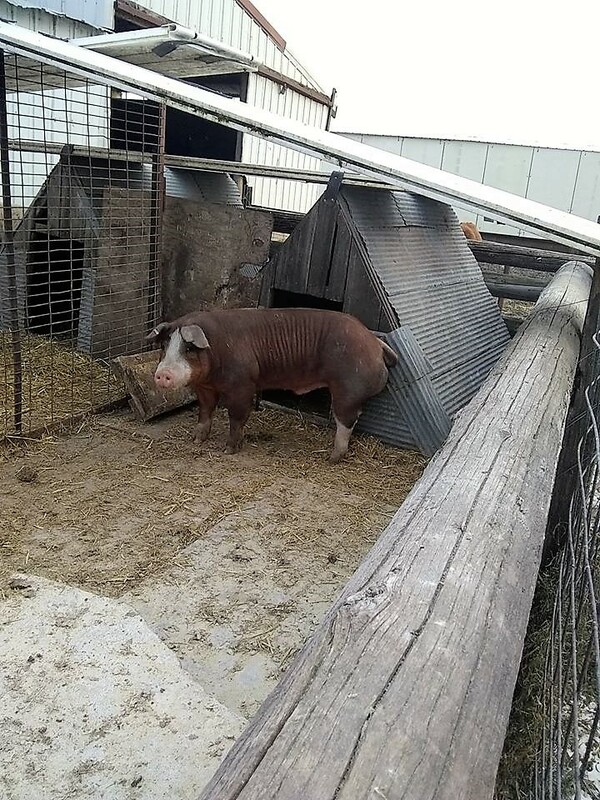 This entry was posted in LIVESTOCK and tagged Callens Farm, Callens honey farm, Organic de-worming, Organic Hogs, Organic Hogs raised outdoors, Organic Prairie Pork. Bookmark the permalink. Sorry about the loss of your dog. There is a lot of truth in the saying “A dog is a man’s (and woman’s and kid’s) best friend”. Wishing you all a Happy and Blessed Thanksgiving! Thank you Rick, I agree! Of all the dogs that we’ve had this one was the best!!!!!! Happy and Blessed Thanksgiving to you and Pat as well!